SAN LEANDRO, Calif. -- San Leandro police shot an apparently suicidal man sitting in a car this morning, a police lieutenant said. The officers had responded to reports of a despondent man in the 1500 block of 137th Avenue at about 9 a.m., police Lt. Robert McManus said. Callers said the man appeared to be suicidal. San Leandro police crisis intervention officers, hostage negotiators and a SWAT team were sent to the area. 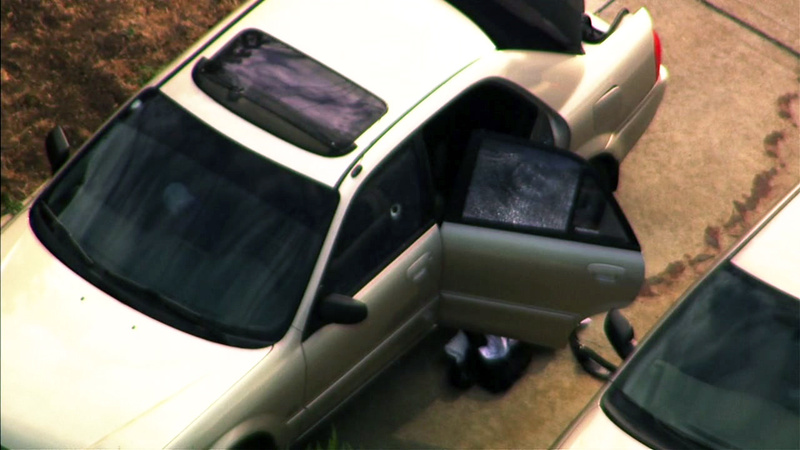 They found the man still in his car parked in a driveway there. The officers ended up in an exchange of gunfire with the suspect, but McManus could not immediately provide details of what led up to the shooting. The man was shot but no officers were wounded. The suspect was taken to a trauma center to be treated for his injuries. McManus did not immediately know his condition. It was also unclear whether the suspect was hit by police gunfire or if he had shot himself, McManus said. San Leandro police, Alameda County sheriff's crime scene investigators and the district attorney's office are investigating. Most San Leandro police officers are equipped with body cameras so the incident was likely captured on video, McManus said. Streets in the area were blocked off, nearby San Leandro High School was placed on lockdown and residents were told to shelter-in-place after the shooting. Two San Leandro High School campuses were locked down: the main campus at 2200 Bancroft Avenue and the Fred T. Korematsu Campus at 13701 Bancroft Ave., where ninth graders attend school, McManus said. The lockdown was lifted at about 10:30 a.m. and students have been able to resume their normal activities, San Leandro Unified School District spokeswoman Carla Spain said. Nearby Jefferson Elementary School was not locked down, Spain said. Students were being kept inside the school as a precautionary measure and not because the police shooting had anything to do with the school.